Last week, Caroline Gill kindly nominated me to talk about my second poetry collection as part of a blog meme called The Next Big Thing. Caroline also provided the foreword for my book, and has been an expert poetry consultant since the early days of the Folding Mirror form; so thanks to Caroline for nominating me, her advice and poetry. Caroline and John Dotson have a new poetry chapbook called The Holy Place available, and I’m pleased to say that I just received my copy. From first read it looks full of interesting and evocative poems about subjects I like; such as wondering about life and existence from nature on our planet to the vastness of space. 242 Mirror Poems and Reflections. I’d written about 100 Folding Mirror poems, so I thought I had near enough a poetry collection. I’d self-published a comedy-fantasy book (Werewolf of Oz) on Amazon Kindle earlier in the year, so I thought I would self-publish a poetry collection too. I also had lots of old thoughts and poems written down, so I thought I could use them as reflections for the mirror aspect of the Folding Mirror poems. Then I thought I’d have the numbers in the title mirroring too, with two identical numbers either side of a middle one, as two halves of poetry mirror either side of a folding middle line in FM poems. The next number to the amount of poems I had that worked like that was 121, with 242 also working when the reflections were included. So I then created another twenty or so poems, until I had 121, and mirrored them with thoughts and poems that reflected them somehow. It is a poetry collection. I have a Folding Mirror poem that mentions Johnny Depp and Sam Riley playing a couple of my favourite characters in the Dead Man and On The Road movies; William Blake and Jack Kerouac; so that’d do. Holly Valance has featured in a Werewolf of Oz poem, so she could be the leading lady. Debbie Harry, Brigitte Bardot and Britt Eklund suit mirrors and reflections. California’s first wild wolf since 1924, OR7, can play the Greenygrey parts if it tires of wandering and takes advantage of its celebrity status in Hollywood. Will your book be self published or published by an agency? This one was self-published on Amazon Kindle and in book form on Amazon CreateSpace, after my first collection was published by Chipmunka. The poems cover three years, and were previewed here on fmpoetry. The poems were written and published here when they were written, so they were not in subject order. I sorted the 121 poems into seven chapters: personal-psychological (containing thirty-four poems and thirty-four reflections), social (19-19), culture (15-15), literary (12-12), nature (30-30), travel (6-6) and space (5-5). That took about a month, and then placing reflections with each poem took another month. So it took about two months to have a first draft. Final editing and assembling took about another month, so about three months in all. What other books would you compare 242 Mirror Poems and Reflections to within the genre? I’ve read collections by Jack Kerouac and Jim Morrison in the past, and Norman Bissett’s Painting the Bridge more recently. Whether mine is comparable is probably not for me to say. I’ve been writing Folding Mirror poems for a few years now, so it was poets like Kerouac and Morrison originally; along with the lyrics of rock music I’d been listening to since the 1980s. More recently, it’s been the people who have posted poetry on the fmpoetry site; as well as people who visit, read and comment. I also read a lot of great poetry on other poets’ sites, and many are inspiring. The Folding Mirror poems have been previewed on this site, so if readers like them then hopefully they might buy or rent the book. Especially as there are 121 extra thoughts and poems in the book that are mostly unpublished elsewhere at the present time. The Folding Mirror is a new and unique form, and readers who have an interest in new poetry forms might be interested. Especially if they like haiku and palindrome poetry. The poems also delve deep into the (ADHD and bipolarity?) mind of a middle-aged world-travelled PhD graduate with a love for nature; who was inspired by the 1960s/1970s counter-culture, 1980s rock music and 1990s rave and dance. So hopefully it’ll have some interest for people of the same age, or with an interest in those periods of modern cultural history. The books have also been priced at the cheapest tariffs possible across the UK, USA and EU on Amazon. The main reason for publishing the book was to make the poems available in a structured form, at a low cost, and with extra poems and thoughts to provide more value for money. Thanks again to Caroline for nominating me, and I look forward to reading the answers from Ruth, David, Lorraine, KJP and Tony. Hi, it’s Andy Wolfhol. I’ve bartered an even better deal with our ol’ pal Marc Latham over at fmpoetry this week, getting over twenty-four hours exclusivity for his newest Folding Mirror poem, as long as we publicise his second poetry collection: 242 Mirror Poems and Reflections. The poem is about the Platoon film, and contains some plot detail, so spoiler alert if you want to watch the movie without knowing any of the story. Having studied Marc’s books in some detail I know that Platoon was quite a big film for him. Born in 1965, when the Vietnam War and counter-culture was just getting started, Marc wouldn’t really remember the adult period of war and revolution, but it would always interest him. However, Marc would remember his first experiences of mass culture in the late-1960s and early-1970s, when the liberty and colour of the hippy age movement probably influenced television shows such as Scooby Doo, The Banana Splits and H.R. Pufnstuf. H.R. Pufnstuf had a good and evil fairytale theme, and it was probably one of Marc’s first visual experiences of this fiction formula. It might well have influenced his interest in Greenygrey’s Rambles three and a half decades later. Between the early inspiration and the written product, Marc had a whole lotta other influences, both in the fictional and factual worlds. One of the most important fictional influences before Marc travelled was Oliver Stone’s Platoon Vietnam War movie, which really struck a nerve just a year before Marc set off. Platoon was a major film, winning Academy Awards (Oscars) for best film, best director, best sound and best editing in 1986. In The Guns N’ Roses Worker-Traveller, Marc mentioned seeing a Platoon poster in the early days of his worker-traveller life on Crete, and also went to see spin-off Vietnam War films Full Metal Jacket and Hamburger Hill while there. While Marc was a staunch socialist at the time, and didn’t agree with the Vietnam War, he was also a rookie adult, like the Platoon protagonist and his grunt colleagues, so he related to the American soldiers’ trials and tribulations, and hoped they’d pull through and survive. While on the International Business Times website viewing Kate Middleton’s photos I scooped some more companies using greenygrey to enhance their products @ HTC and Undertone. We don’t know anything else about those companies, with the use of greenygrey of course always free. Also in the southern hemisphere, the Formula 1 motor-racing season came to a thrilling greenygrey end at the Brazilian Grand Prix. There was a feast of greenygreyness thanks to the colouring of the track, some atypical grey weather, the winner’s podium and a car manufacturer. Sebastian Vettel of Germany won the season’s drivers’ championship driving for our ol’ friends Red Bull, which also won the constructors’ championship. We reached a spring, and Alice took a drink. She invited us to quench our thirst too, ‘Come drink at this spring, it’ll make you sing.’ I checked the hat, and it was glowing, so I told the others it should be okay. The water sure did taste sweet, and the next thing we knew, Bonzo was singing Have a Drink on Me. Elle then started singing Waltzing Matilda , (the Andre Roo and Mirusia version) before Warren Zevon‘s Werewolves of London must have cornered my cerebral cortex (nailed my noggin), because a rousing rendition suddenly burst out of my mouth. Alice finished off our medley with The Jam’s A Town Called Malice. ‘Why, Alice, I haven’t heard such sweet singing since Sade stopped by the Springs,’ a voice said from behind us. 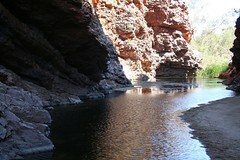 I looked around to see a macropod approaching. cerebral cortex – outer layer of the brain; vital for thought processing. noggin – slang for head. Ghan – a passenger train operating on the Adelaide-Darwin railway. wallaroo – any of three closely related species between kangaroos and wallabies. Have a Drink on Me (AC/DC song). 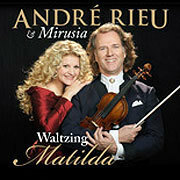 Waltzing Matilda (Australian bush ballad). 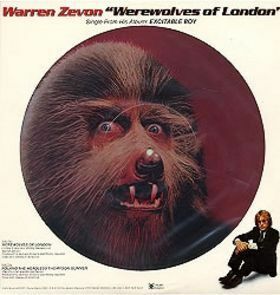 Werewolves of London (Warren Zevon song). A Town Called Malice (The Jam song). Hi, it’s Baron Wolfman. Greenygrey sure is pleased it hired me, as the emorfes blog is keeping the Greenygrey art world supplied with lots of great material this week. I thought I’d be off helping Andy Wolfhol create something extraordinary this morning, but instead I was called in to the office to present the extraordinary 3-D pencil drawings artwork of Nagai Hideyuki. Photos 1,2 and 4 were on the emorfes blog, while I just found the third on Nagai’s website; so well done to me for some intrepid independent research! and you’ll fall to oblivion. we must remember to pull. 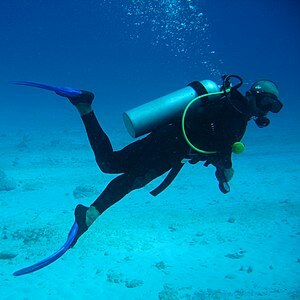 never beyond breathing bends danger. Hi, it’s Greenygrey. I think Andy Wolfhol is off creating something extraordinary, because he’s nowhere to be seen. I was going to delegate this job to him, but he did such a good job introducing Marc Latham’s latest Folding Mirror poem that we’ll overlook this artistic license. In fact, it was while at the fmpoetry wordpress site that I first had the idea for this job, after seeing the art of Victoria Ivanova on the emorfes wordpress site. I was captivated at once, after seeing the greenygrey scales with a pair of apples and a mirror image on them. Then I saw the Pear of Dorian Gray, which reminded me of an idea I’d recently had, about having a Greenygrey fruit communication brand, what with there already being apple, blackberry, orange etc. As I’m like a conjoined pair, that has recently been separated, I’d thought of Pear. I just google searched it, and there is already a Pear Communications anyway. 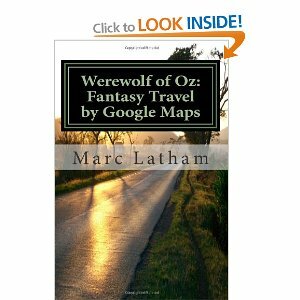 So, to make up for that disappointment, I thought I’d create a new poem, which I do believe is the first full Greenygrey poetry production since Grey set the poetry world alight with its seventy solo literary nonsense classics in its now available at Amazon for Winter Solstice Christmas epic classic Werewolf of Oz: Fantasy Travel by Google Maps. Enjoy! and not a brand of communication.